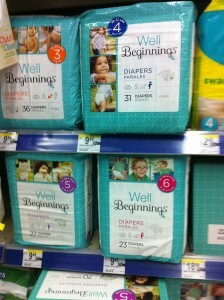 I don’t often shop at Walgreens (only because it isn’t close to my house) but I recently received a package of their Well Beginnings baby products to try out and I was impressed. 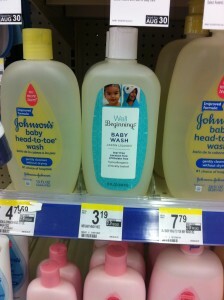 Impressed enough to visit a Walgreens. The baby wash/shampoo is made without parabens or phthalates (this is often hard to find, especially for store brands). I feel much better using products without these chemicals. 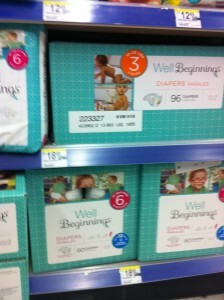 The diapers are soft, flexible, made with natural ingredients and the tabs stay put unlike any other diaper we have used. 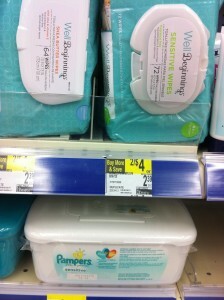 The wipes are unscented and made for “sensitive” skin. Great prices for wipes. 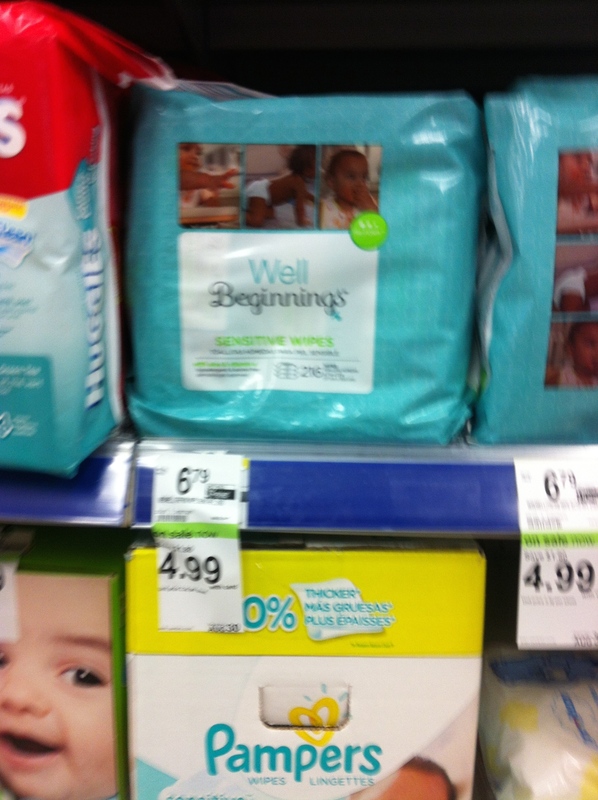 The wipes are not as thick as name brand wipes but I did find them to be significantly larger, thicker and more moist than other store brand wipes I have tried. I would buy these- with a coupon! 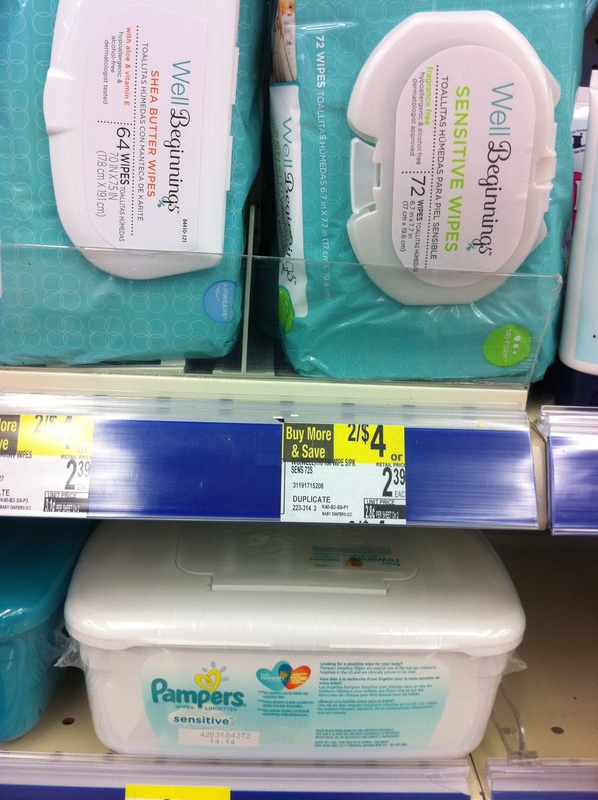 The regular prices for diapers were not great but I would PRINT THIS COUPON for $1.50 off any package and save for a sale! I would highly recommend the baby wash- it is made without harmful chemicals, hypoallergenic, tear-free and with a light, baby scent. If you are looking for a product that does not contain potentially harmful parabens and phthalates for a good price, this is it. 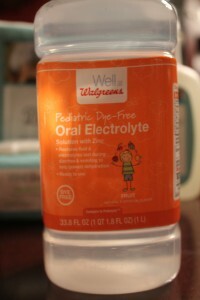 The final product I am hopeful I will not need- it is Walgreens pediatric electrolyte liquid. I really like that it does not contain any artificial colors. I am hoping my kids stay healthy enough to not need to try this one out! Disclosure: The Well Beginnings baby products were provided to me free of charge by Green Moms Meet for my review however, all content and opinions are my own. If you need diapers, make sure you print this coupon for your next Walgreens trip! Coupon is available for a limited time and may be printed twice. 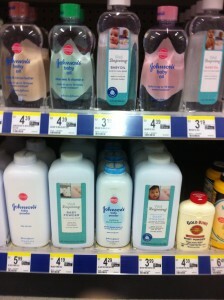 This entry was posted in Coupon and tagged Walgreens, Well Beginnings. Bookmark the permalink.